If you ask me what would be the most worn item in my closet, without a doubt, it’s this denim jacket I bought from H & M 2.5 years ago. I wear this jacket year round (a few times a week actually). It’s the best $34.99 I have ever spent. This jacket literary goes with everything from pencil skirt, to dresses, to shorts, to jeans. 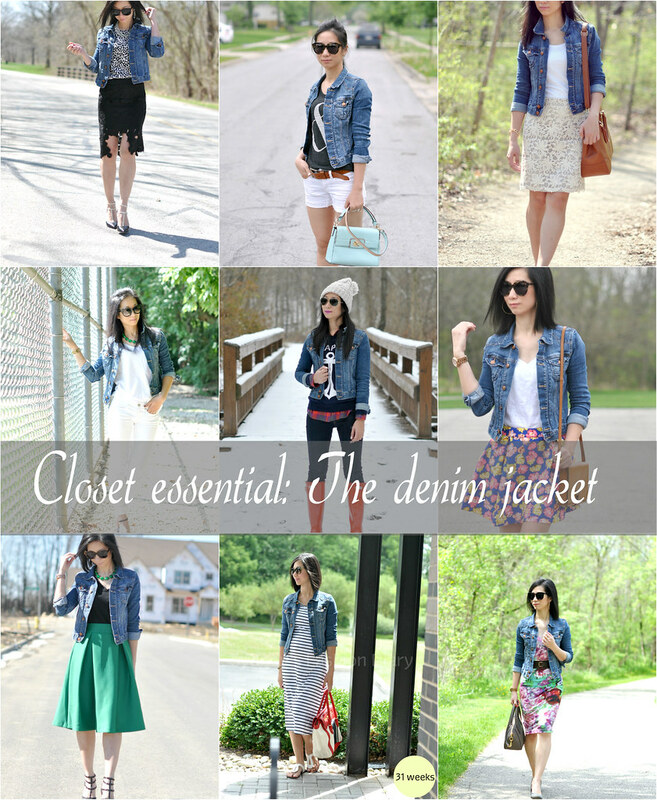 Below are my some of my favorite ways to wear a denim jacket. If you don’t own one, you definitely need to go get one =) The exact same one isn't available anymore but there are a few very similar ones here, here and here. I love it when you find something that's a bargain that you can wear years later.